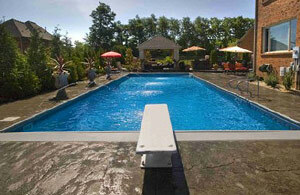 For more than 80 years, S.R.Smith has been creating products that make the swimming pool experience better. 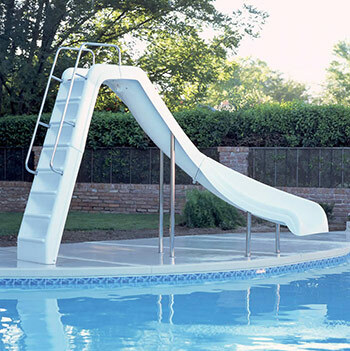 With a full line of unique pool slides and diving boards to complement your backyard decor, S.R. Smith is synonymous with quality, reliability and fun! We believe fun and safety go hand in hand. 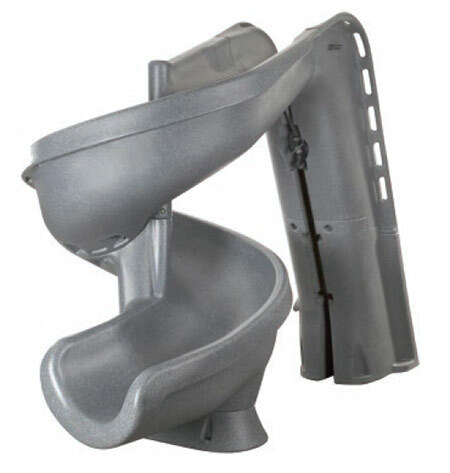 That’s why each and every one of our slides meet the safety standards for swimming pool slides set forth by the U.S. Consumer Product Safety Commission (16 CFR 1207). 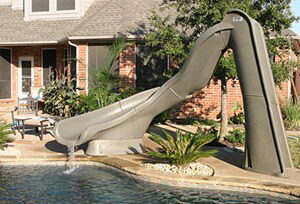 Swimming pool slides come in a variety of colors. Please see the brochure for the specific colors and pool slide details. Interfab offers a complete lineup of residential swimming pool slides and diving boards to transform your backyard from boring to a personal water park in your own backyard! From the Zoomerang slide to the Wild Ride slide to the 360 thrill ride of the G-Force slide, you are sure to find lots of splash excitement for even the most discriminating slider. Inter-Fab water slides offer the best water rides, the best water flow, and come in a variety of shapes, sizes and colors. For hours of serious sliding fun, look to S.R.Smith. From the towering Vortex with its 19' corkscrew runway, to the relatively petite Cyclone with its big personality, we have a pool slide that will transform your swimming pool into a favorite destination for kids of all ages. Inter-Fab water slides offer the best water rides, the best water flow, and come in a variety of shapes, sizes and colors. This 3’ Zoomerang™ water slide is kid-sized, and packed full of fun! The Zoom Flume™ water delivery system provides lots of rushing water to make you feel like you are at the water park! This slide is available in a right turn configuration.